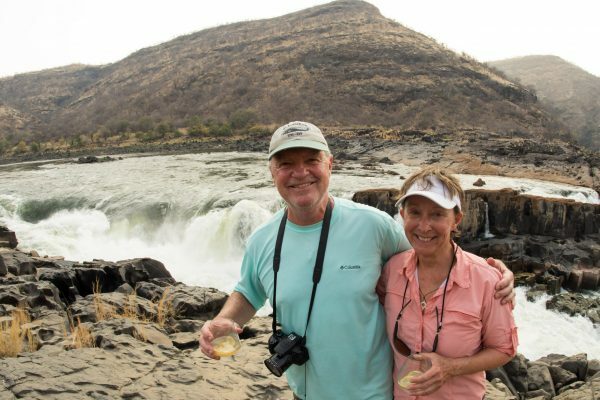 Hamish McMaster, Water By Nature owner and river lover, reflects on why you shouldn’t be concerned about many of the myths surrounding the Mighty Zambezi River. I can still clearly remember the moment I got the call. I was working it Switzerland, but dropped what I was doing when they told me that I had got a job on the Mighty Zambezi. The Zambezi! Excited was not the word to describe it. It was so much more. More than 25 years later, I still head to this iconic and world class river every year to row a gear raft and bask in the environment that this amazing gorge brings. I still love it, just as much as my first trip. We do hear a great deal of ‘myths’ attached to this trip though, so let’s put a few of them straight. The Zambezi is perfect for anyone! This is probably the most irritating comment we hear. Whilst the Zambezi is a big volume river, it is entirely possible to run the whole trip without flipping or having a swimmer. In fact, we ran 25 trips in 2018 and we had just one guest raft flip. Yes, we take the big lines, but our guides know how to get you through them. Wrong! Many of our guests are in their late 50’s, and 60’s (although we get plenty in their 20’s and 30’s too) and many are amazed at how well taken care of they are. Incredible cuisine, Grand Canyon style outfitting and a guide ratio of 1:4. 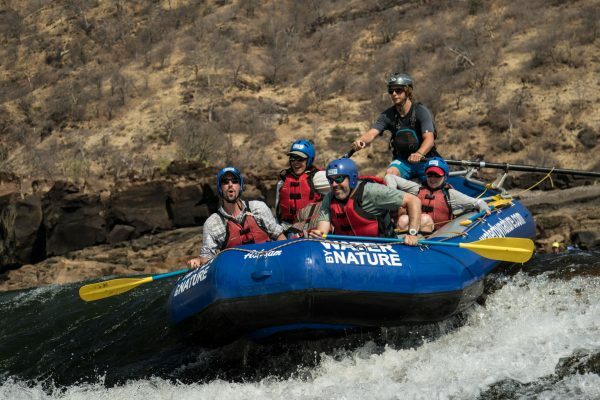 Many of our guests (especially from the UK) have never rafted before and for them rafting the Zambezi is their first experience on a river. But with 80% of our guests returning for another rafting vacation, don’t count on it being your last! 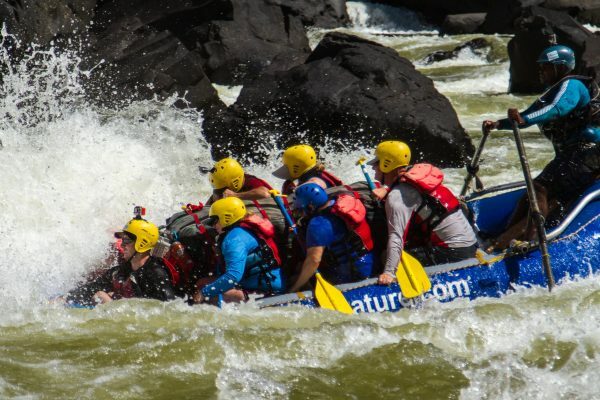 Most of the rapids on the Zambezi are actually large Class IV and really fun without being too intimidating. There are some Class V rapids such as Ghostrider (the last rapid before we fly back by helicopter), Upper Moemba and Gulliver’s Travels. We have heard plenty more too, like there are loads of bugs (actually NONE on the river) or that you’ll get eaten by a crocodile (never happened before and highly unlikely). This river will put the biggest smile on your face! 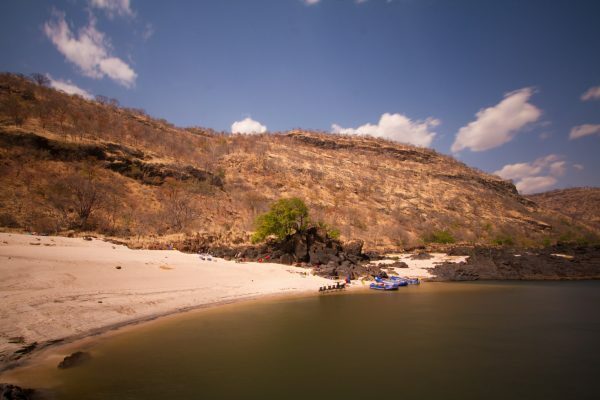 Our advice: if you haven’t done the Zambezi yet, get out there and do it soon before the Batoka Gorge dam is built and the river is gone forever.